Conquistadors in present day America…..the thought of it still astounds me…. New Mexico, the name conjure up so many things; Native Americans, Mexicans, the Spanish, mysticism and chili peppers….It truly is a land of enchantment. To begin our journey we start at the city of Santa Fe, the State Capital and then join the High Road to Taos Byway to the town of Taos. Then we visit the Taos ski area and drive the Enchanted Circle Scenic Byway. 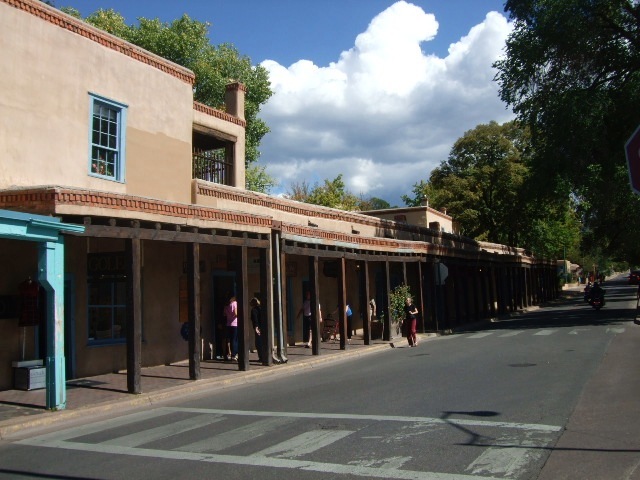 Santa Fe is the oldest capital city in the United States, having been occupied somewhere between 1050 and 1150 by Pueblo Indians. This settlement was around the current day old town and plaza. In 1598 Don Juan de Onate established Santa Fe de Nuevo Mexico as a province of New Spain. 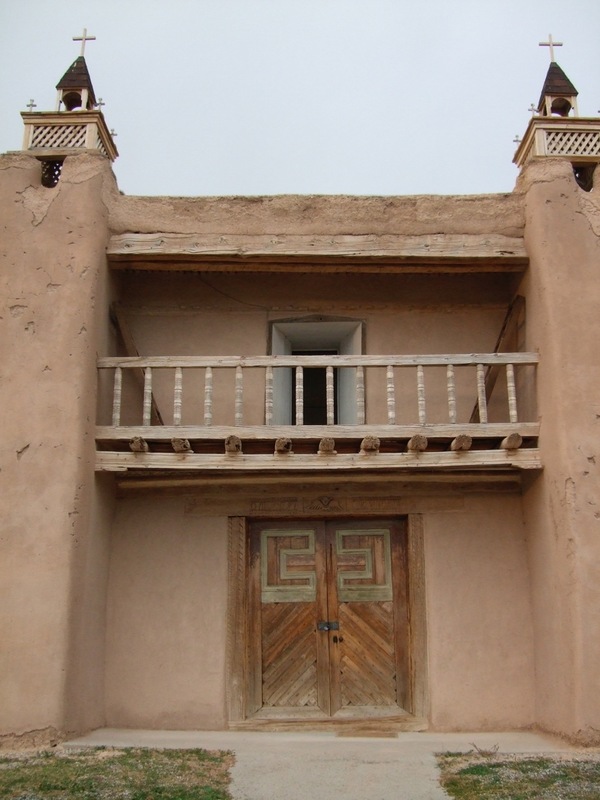 You can still find the original government building, The Palace of the Governors, built in the early 17th century, now part of the New Mexico History Museum. This area is fun to walk around and has many shops, restaurants and other historical sites such as the Cathedral Basilica of St. Francis of Assisi, with construction starting in 1869. 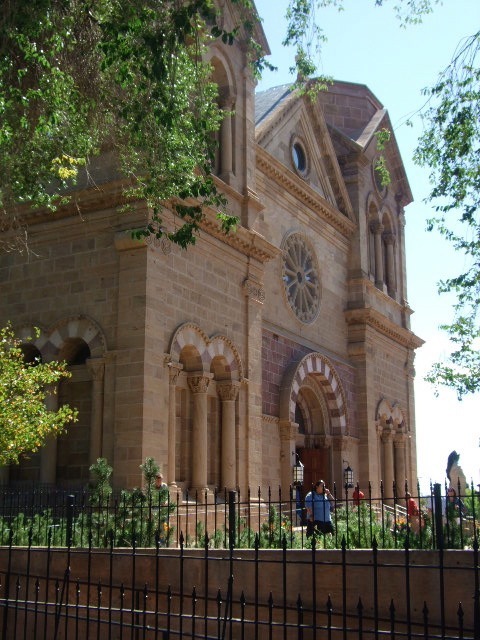 Saint Francis Cathedral in Santa Fe, NM. Another excellent site to visit is the Georgia O’Keeffe Museum. 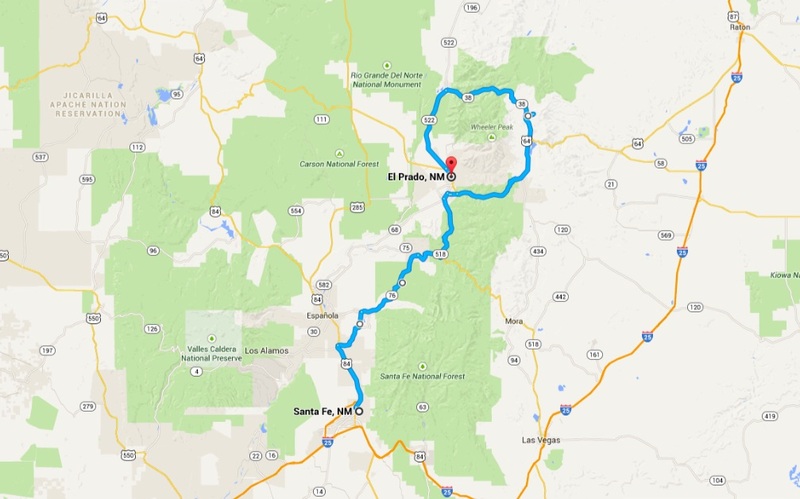 For an interesting route between Santa Fe and Taos, take the 56 mile High Road, Scenic Byway. Start by traveling North on U.S. 285 / 84 and then turn East on N.M. 503, which becomes 520. Then North East on 76, till the 75, and jog over to join the 518 the rest of the way. 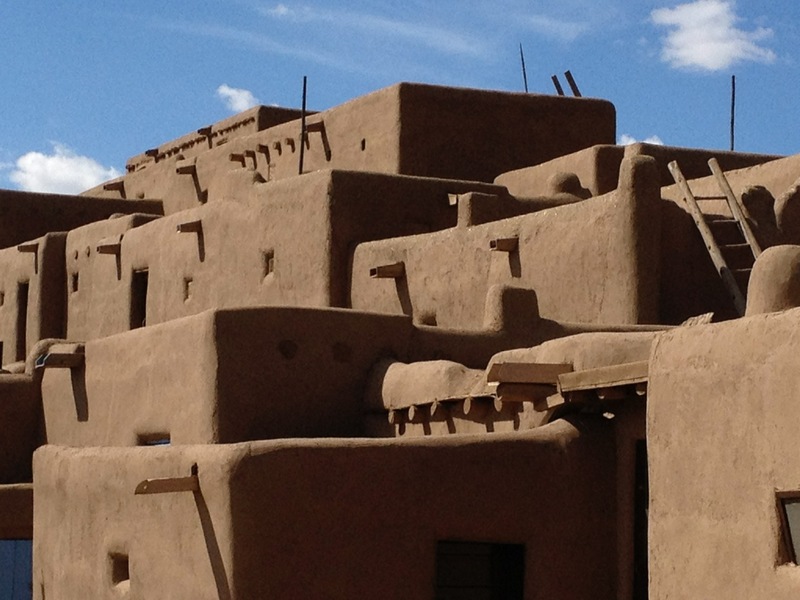 The route takes you through 15 different towns and villages, with such highlights as wind carved hoodoos, adobe houses, multiple pueblos and the 1776 Church of San Jose de Garcia. 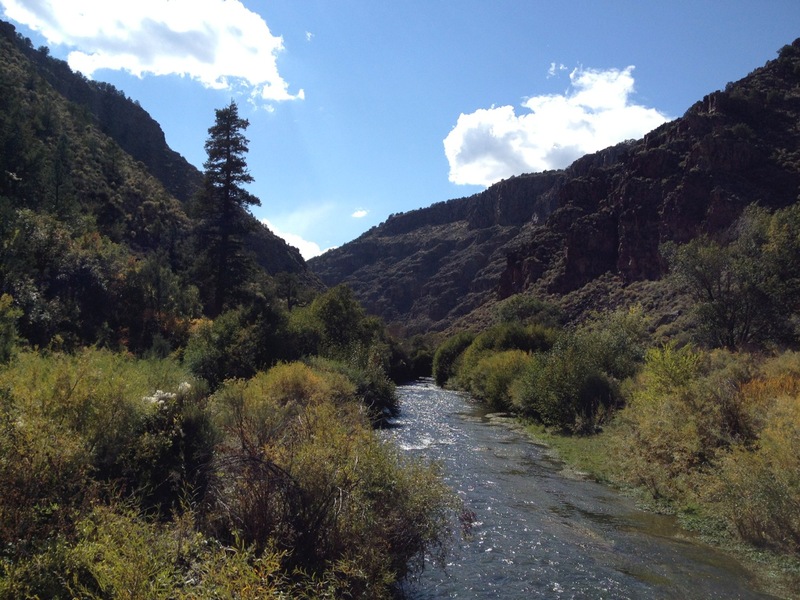 Derived from the local native language, Taos means “place of red willows”. 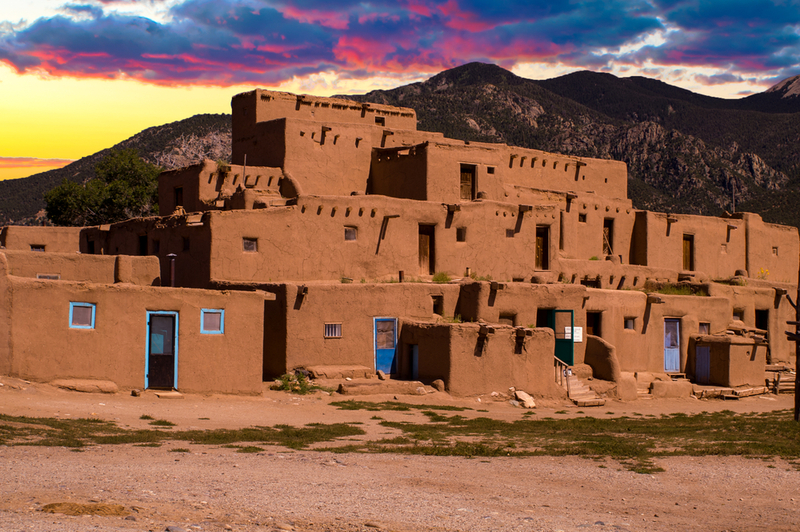 The town gets its name from the Taos Pueblo, which has been continuously inhabited for over 1000 years ! Besides family homes, the pueblo contains a group of artisans and their shops containing pottery, sculpting, paintings and other arts. We found the inhabitants extremely friendly and they enjoy talking about their homes and way of life. The town of Taos has excellent shops and restaurants and is the perfect base to launch off on day trips in the local area. One of the fun drives is up to the local ski area, Taos Ski Valley. 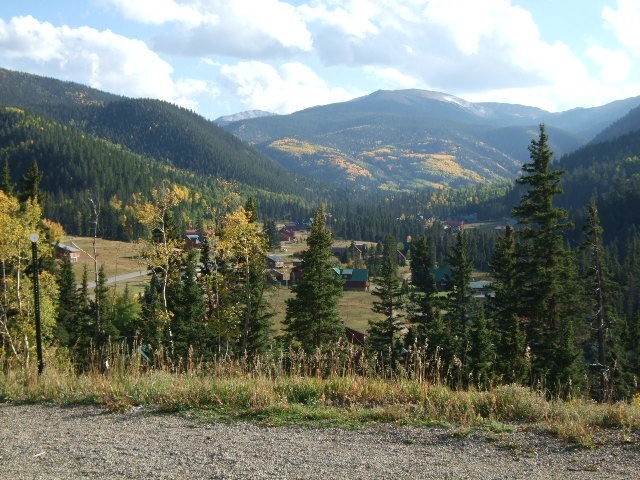 It is located 19 miles out of Taos and with an elevation of 10,350 feet at Kachina Village, it is definitely up high ! 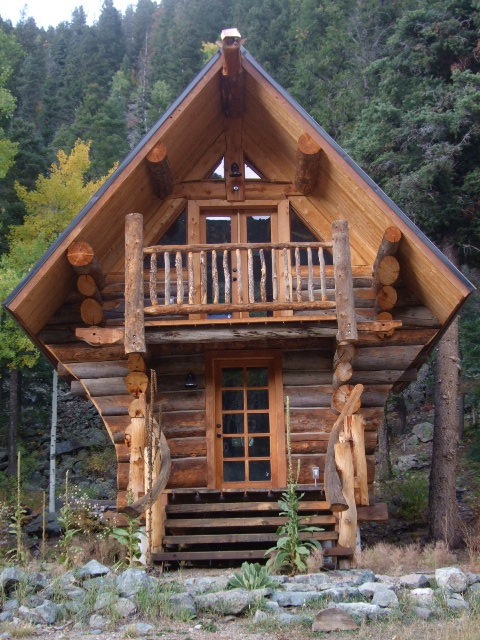 Tiny cabin, Taos Ski Valley, NM. Within the village is the Bavarian Lodge and Restaurant, as the name implies, a German themed establishment. 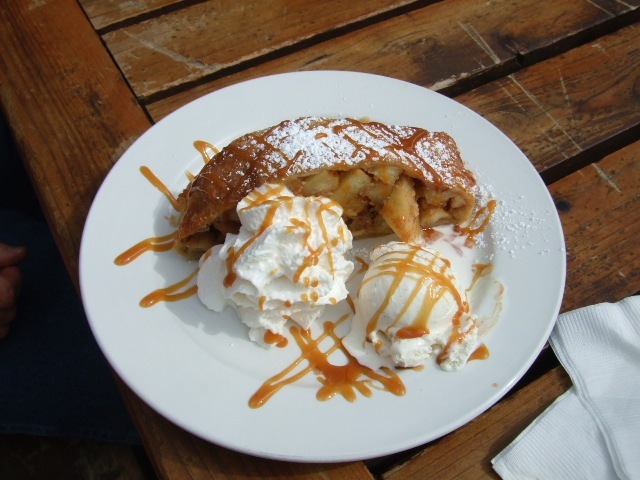 With outdoor seating, they serve one fantastic apple strudel that takes your breath away as much as the elevation! From the lodge begins an amazing 2 mile hiking trail to Williams Lake. The Bavarian, Taos Ski Area, NM. Apple Strudel of the Gods ! 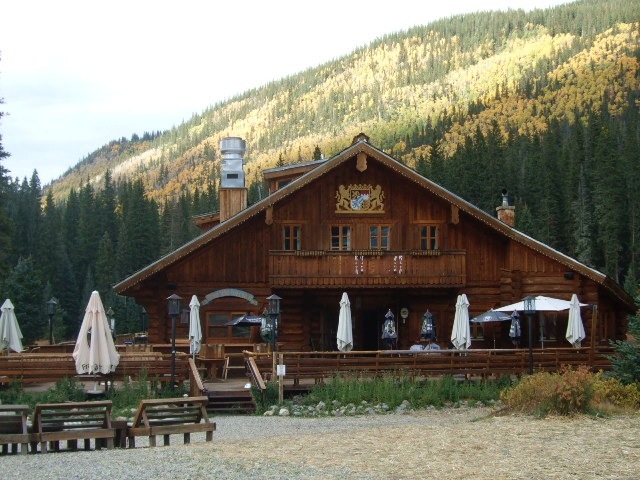 The Bavarian at Taos Ski Area. After filling up on strudel, it might be time for a scenic drive ringing around the ski area mountains, the Sangre de Cristo Mountains, on the Enchanted Circle Scenic Byway. 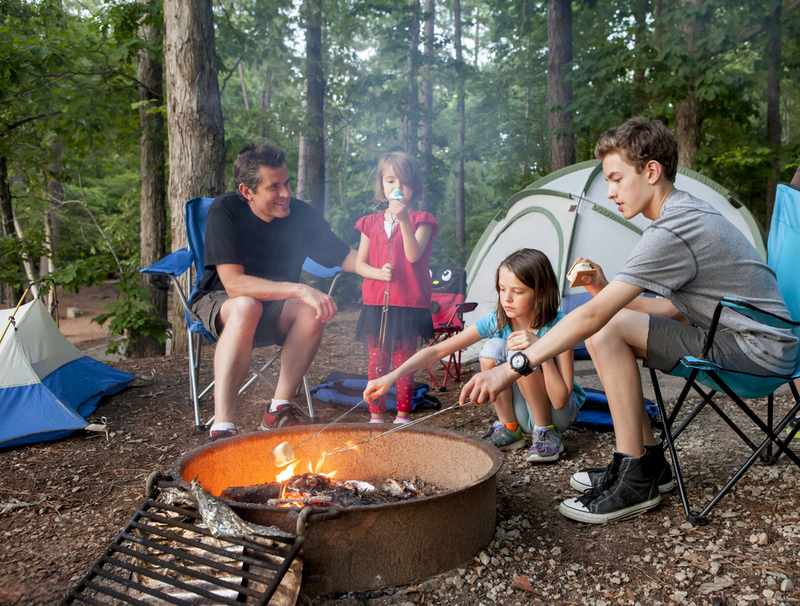 Consisting of 84 miles of road, you travel through the town of Questa, Red River, Eagles Nest and Angel Fire. Near the town of Questa is the Red River Fish Hatchery, consisting of a beautiful river and a self guided tour of the facility where you can feed the growing trout population! The surrounding countryside is truly enchanting !